I watched a video today for social media marketers like myself and it was all about how to respond to the question are clients often ask… ‘What is the ROI of my social media’. Well, lets narrow that down a little bit. Are we talking about the ROI of organic content and connections? Or are we talking about the ROI of content that is generating clicks to websites with ads on social media? Or something else? It’s indeed a loaded question, and it’s one that isn’t really fair. I don’t say it’s unfair because I can’t prove statistics, I say it’s unfair because the value of organic social media content is HUGE, but for some reason in the minds of business owners (especially our target customer – the small business owner), they don’t seem to make the connection to parallel marketing activities. You can search online (Google is my best friend too!) and find a boatload of articles talking about the ROI of social media. But if you really dig deep, you will notice one commonality – they are all talking about measuring ROI when linking content to some kind of lead gen activity or landing page where you convert sales. 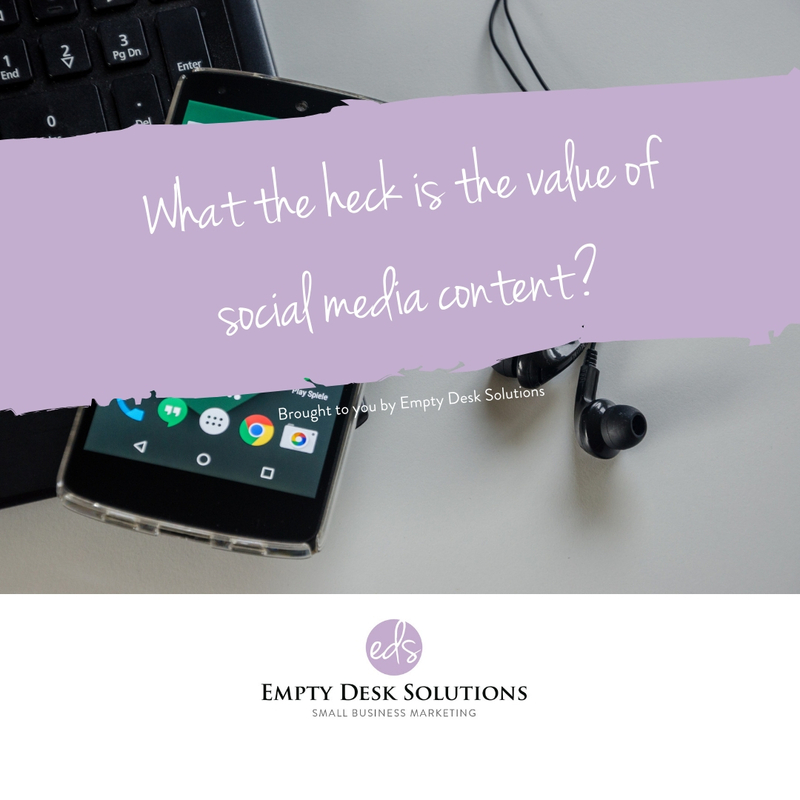 Your organic social media content, the content that is meant to provide value to your clients (just like this post), is not meant to convert in to sales. Remember the quote ‘no one likes to be sold but everybody likes to buy’? You have to think of this when you are promoting yourself on social media. It’s not an overnight thing! If you want to create leads upon leads, then you can certainly enlist the assistance of someone who specializes in social media ADVERTISING. BUT – here’s a big caveat… leads that come from social media ads for a service (products can be a little different) are notoriously hard to close. These are generally people who are just poking around, looking for information. They click on your ad that says ‘learn more’ to get some free download or consultation. 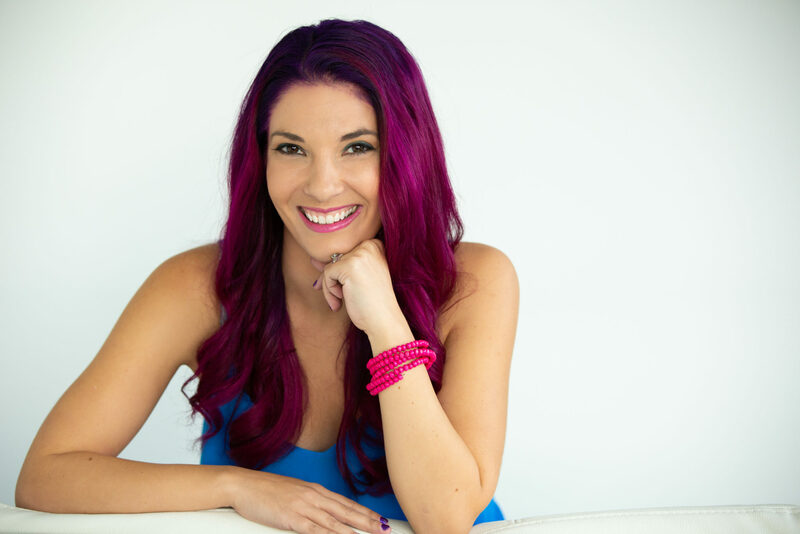 If you provide them with enough value over time, and if they are being shown your brand and authority consistently, then guess what, they WILL think of you when they are ready to make that purchase decision. But before then, what’s the point? I know first hand from experimenting with more money than I care to admit that the closing ratio of these leads is ridiculously low. But the closing ratio of referrals and warm leads from other networking sources? Higher! Couple that with a referral that can look at your social channels and online review and see how active you are online? Now you have a recipe for an engaged new customer! But lets get back to that ROI question. Can you really prove a return on content? In my opinion, no. Others may disagree, but we have 5 years of client data that indicates otherwise. I will say however, that we retain the vast majority of our clients because they recognize the value that this consistent branded strategy brings to their business. If it wasn’t doing anything for their business, we wouldn’t have people paying $500-$1500/month for branded social media content. 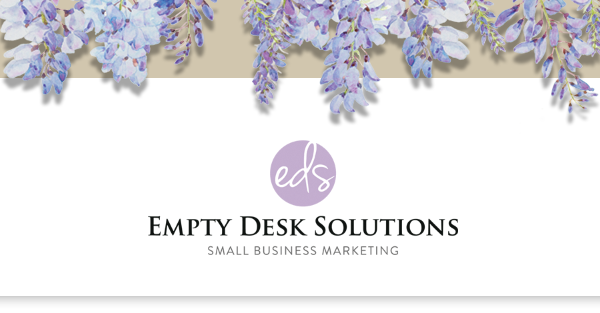 Would you like to get in touch with the Empty Desk Solutions team? Consultations are always free! Let us know how we can help you achieve your marketing goals!